Our daughter Mandy just got back from a short but hectic business trip to Europe that included high-pressure meetings in Paris and Barcelona. 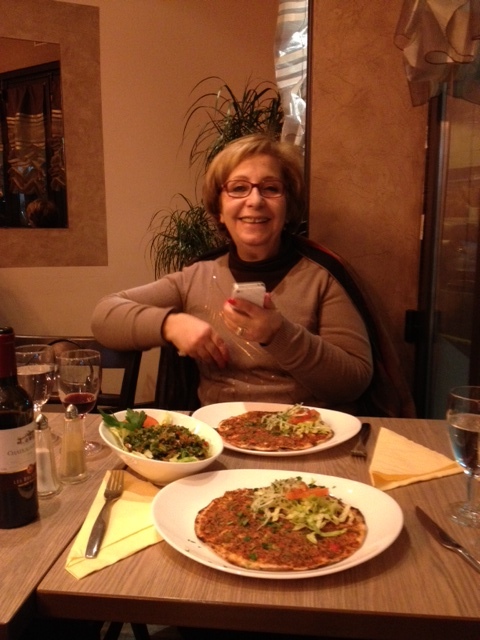 Of course, she made sure her busy agenda included some family time, which in our family means Armenian meal time. 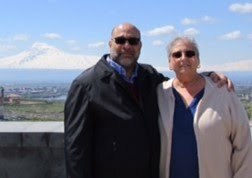 Cousin Arsene Dirkelessian greeted her at his home just east of Paris with a veritable banquet of home-made dolma, kebab and just about everything else you could name from a lifetime of Armenian eating. Each course was delivered with love and a lecture about the typical American's poor eating habits. He warned especially about our over-consumption of meat and alcohol. 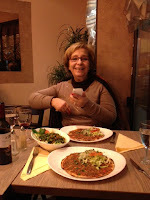 Mandy pointed out that every dish on the table included generous portions of meat, and that the meal began with wine and ended with Armenian brandy. Arsene's reply: "This is all healthy because it's Armenian." Can you argue with that? We can't. Mandy spent the next day with Arsene's sister, Haygouhie Tfenkidjian. Sophisticated and cosmopolitan, Haygo treated her to a sumptuous, hours-long lunch at a very grand and very French restaurant in Paris. Mandy reports the meal would have satisfied the most demanding diner and eliminated the need for most people to eat again for at least a day. Of course, it turned out to be just a warm-up for the real treat: Dinner at Chez Bedros in Moulineaux, just west of the capital. Is that a great name for a restaurant? So perfectly French and Armenian. The menu was Armenian with a Lebanese bent. Mandy sampled a good deal of it and reports it was all excellent—but the clear centerpiece is the lahmajoun, hand-made with a perfect crust and served with fresh tomatoes, parsley and onion. Haygo thinks so highly of it that she buys several dozen at a time to share with her family. We wish they shipped overseas! Mandy's report made us hungry not only for such wonderful food but for such loving company. We're thankful to Haygouhie and Arsene for their hospitality. Most of all, we're thankful to have them as cousins. 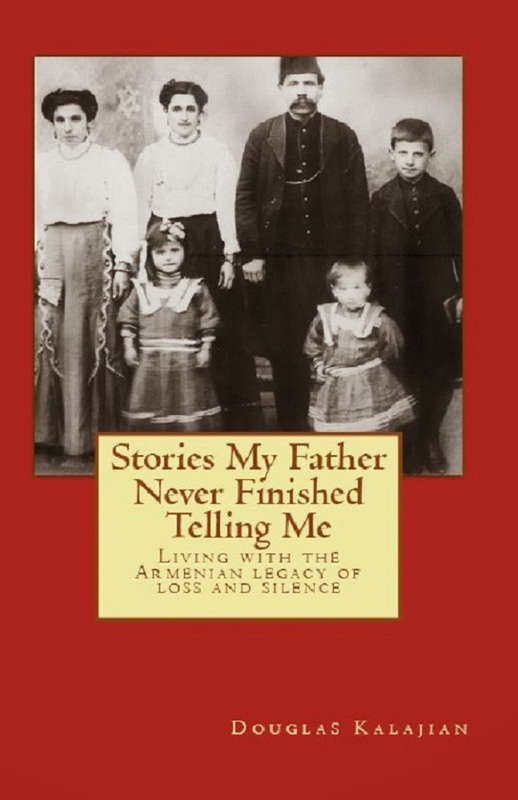 The lesson, as always, is that it's good to have an Armenian family—especially at meal time. Wonderful post! The food sounds exquisite, and I don't even know what lahmajoun is.